All of the customers who reviewed this knife gave it a perfect score. Now, we’re talking about 62 people here – not a huge amount, but by no means a small one either. 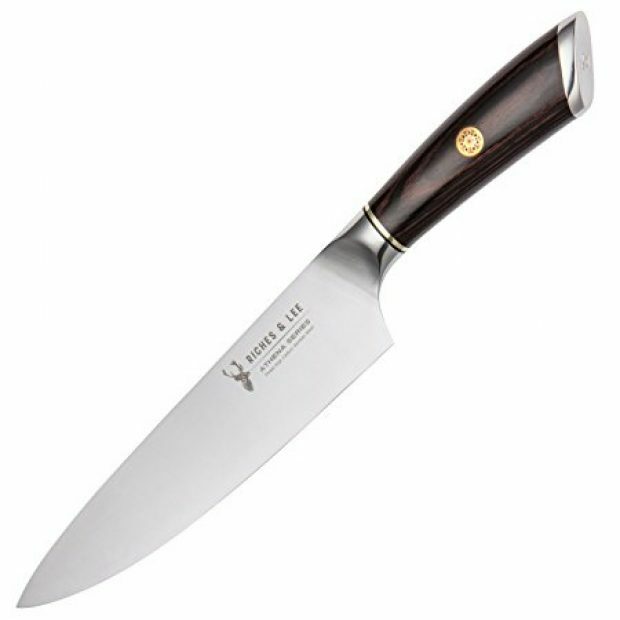 This is a chef’s knife that with a $100 value. So, it makes sense that people like it. What makes way less sense is why they would discount it so much. Sometimes you just have to count your lucky stars. If you want to hear more about how awesome this knife in, there are 60-plus customer reviews I can point you to. I’ll just end here with my favorite among them: “This knife cuts like a samurai sword!” I think that just about says it all.